Hi readers! 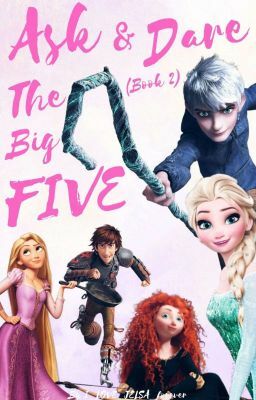 I'm back with a new A&D the big 5 book,since my first one could only withstand 200 chapters. but now we can continue our journey in this new one! Jack: we'll have new adventures to tackle and have fun with! Elsa: meeting new people along the way. Hic: so don't be shy to ask us questions. Mer: and feel free to give us crazy dares! Punzie: It's gonna be so much fun! Zen: to some who've read my first one,thanks for all the support and love you gave me. and now we can start a new beginning of our lives,which starts with just one chapter. P.S please read my first one to understand what's going on. The cover is made by yours truly and will change in every season.everything you read here are for fun to make you laugh and make you smile. hope you enjoy reading!